Read Akamai's Guide: "Delivering High Quality Online Media in a Hyperconnected World"
Media delivery is fast becoming the primary source of traffic on the Internet, requiring media providers to use a media CDN for media analytics and content delivery. 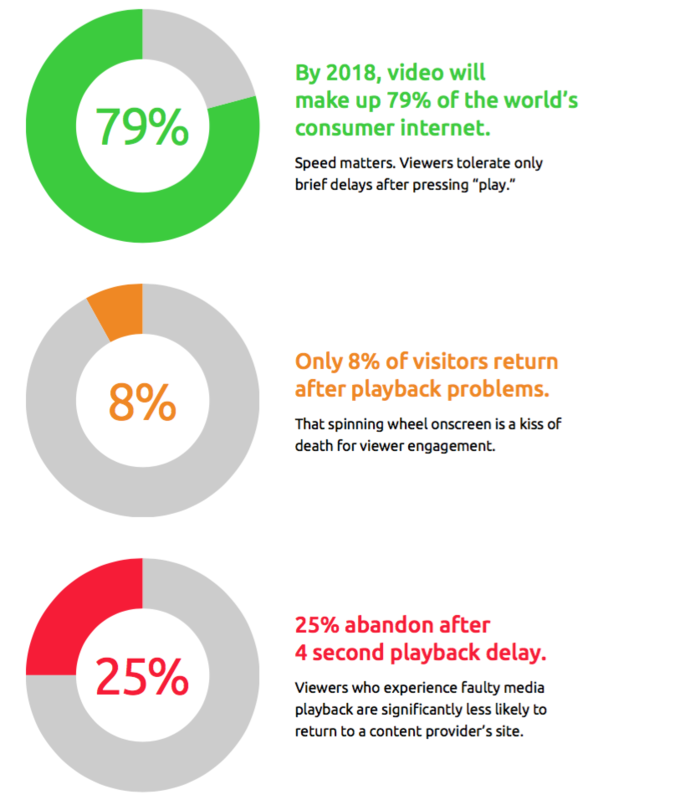 Viewers expect high quality media to be delivered without buffering or stalling. Meeting user expectation without a media CDN isn’t easy. Learn how a media CDN can provide the analytics needed to track and improve performance for your media delivery solutions. This comprehensive eBook is your go-to guide to using a media CDN for fast, reliable and secure media delivery.